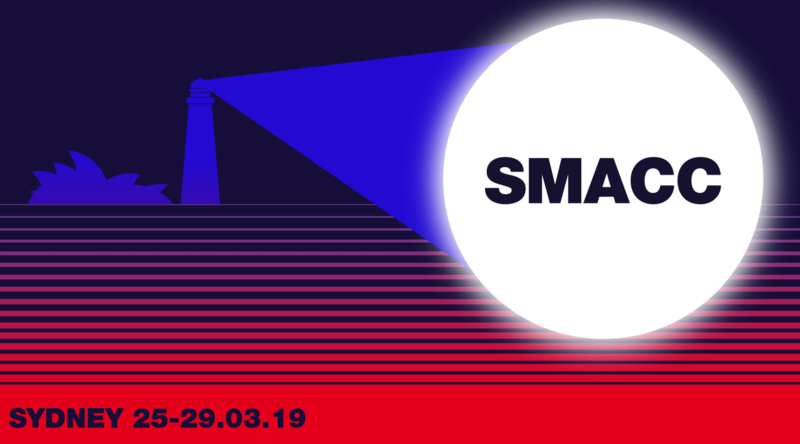 I’ve no doubt that you will have spotted that the next SMACC is in Sydney on 25-29th March 2019. Here at St Emlyn’s we are really excited about this and we’re planning our trips, talks and workshops in anticipation of SMACC’s return to where it all began back in 2013. Back then we took a punt on a new conference that sounded really interesting, but which we did not really yet understand. The invitation to speak that came from Chris Nickson, Oli Flower and Roger Harris was a turning point in my career and I’m forever grateful for that opportunity. On stage for the Sim competition in 2013 with Iain Beardsell, Alan Grayson, Natalie May and Clare Richmond (holding the snake). then, and all that has happened since. It’s no understatement to say that SMACC has changed our perception of what a medical conference should be. We’ve seen a step change in how conferences are organised and, perhaps more importantly, a real understanding that speakers need to respect their audiences by making their presentations accessible, interesting and useful. The SMACC effect has spread far beyond this conference and it’s influence can be felt at many other progressive conferences around the world. We are also a little sad about SMACC Sydney as it will be the last one. Some of us have been to every past SMACC conference and so to get back to Sydney, to meet the myriad of friends from the #FOAMed world again, will be a special moment. Although this will be the last SMACC I’ve no doubt that the team have many more future projects planned and we won’t have heard the last of the organisation by any means. Don’t be sad though. This SMACC is pitched as Ultimate SMACC and I genuinely believe that it will be. The organising committee have built on all the lessons learned from past conferences and the speaker list is simply incredible. There will be some familiar faces, especially those who have embodied the SMACC/#FOAMed values from the beginning (Brazil, Weingart, etc. ), but also new faces and some incredible stories from people who’ve done amazing things both in and out of critical care/emergency medicine. Check the program out here I’m honored to be talking about the ‘Power of Peer Feedback’. There are also two days of workshops this year which I think is great. Workshops have an intimacy and engagement beyond what can be achieved in the lecture setting and I think it’s something we are seeing more and more of in recent years.The St Emlyn’s team are involved in loads of the workshops (I’m especially looking forward to the Feedback one with Nat May on the Tuesday). 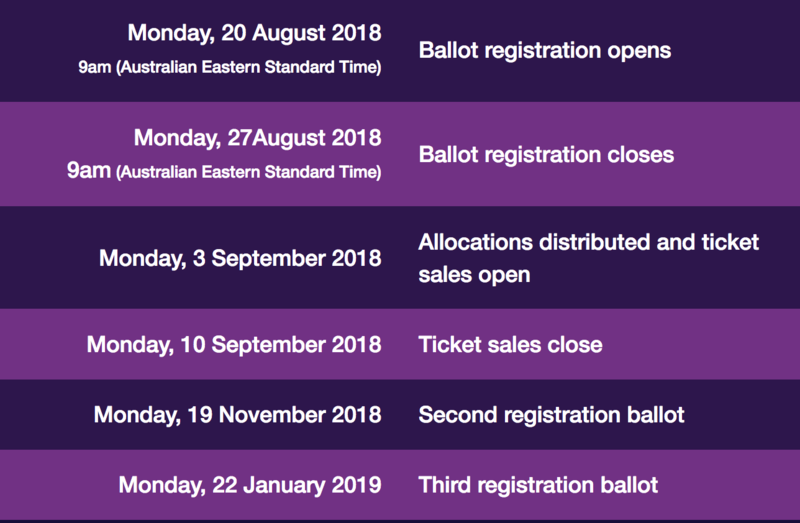 All of the recent SMACC conferences sold out almost immediately so set your clocks for tomorrow and make sure that you get yourself registered for the conference. Thankfully it’s not going to be a crazy wake up and repeatedly press refresh in order to register this year. There is a ballot system that will hopefully tke some of the panic out of tickets sales, and also make it fairer to all. These are the key dates. Just visit the website here for more details. Back in 2013 Scott Weingart told us that his initial reaction to the invite for the first SMACC was that it was going to be a ‘bunch of guys hanging out in a bar talking about twitter‘. It turned out to be so much more and an epiphany for me, the St Emlyn’s team and Medical Education in general. Ending the SMACC cycle back in Sydney, where it all began seems the right thing to do. To be back amongst the friends and colleagues who have come together through #FOAMed and SMACC will be amazing and I hope that you can find the time and cash to join us there.